This is a 3-terminal microswitch two pack, each equipped with a 20mm offset lever actuator. 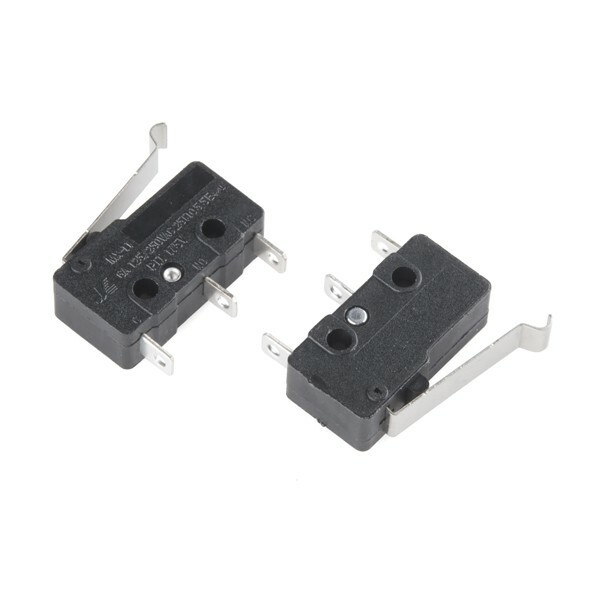 These switches have a great clicky sound to them with a nice tactile feel and are perfect when used for a slider, 3D printer, or robot project. Each microswitch is rated for 5A at 250VAC.